Life intersects here at the new Vancouver Social South Main Condos for sale. Ranging from one to three bedroom Vancouver condominiums, Social by Onni also features townhome residences that are spacious, open concept and truly affordable. Ranging in floor plans sizes of five hundred and seventy five square feet all the way to more than sixteen hundred square fett for the townhomes, the new Social South Main Vancouver condos for sale are now selling. Featuring the best in customer service, Onni Developers presents the new Social Vancouver condos that are designed by world renowned Lawrence Doyle + Wright Architects who are part of the IBI Group. With the traditional glass and brick facades coupled with modern over sized punched windows and floor to ceiling glass, the pre-construction Vancouver Social South Main condos and townhomes pay homage to the historic neighbourhood and the modern future of the community. For those who love the South Main Vancouver real estate district, this is your opportunity to purchase a ground level affordable Vancouver condo for sale at the Onni Social development today. There are a total of 125 new Vancouver condos and townhomes for sale here that offer open concept layouts and functional spaces, over height ceilings, massive outdoor living spaces in decks, patios and balconies in addition to two high speed passenger elevators. The over height ceilings range from eight feet eight inches from floors one to eight as well as South Main Social Vancouver penthouse suites that have amazing ten foot four inch high ceilings. The nine storey mid-rise Vancouver South Main condo building is coupled with traditional style townhomes on the ground level with street entry. Rainscreen technology has been incorporated in addition to acoutist engineered construction to make sure there is maximum sound buffering in this concrete condominium building. In addition, all homes at the Onni Social South Main Vancouver condos and townhomes will come with the standard two-five-ten year National Home Warranty. As far as resident amenity spaces go, the pre-construction Vancouver Social condos will have a common roof top deck on the 5th floor that has professionally landscaped green spaces, relaxation areas and entertainment spaces. In addition, homebuyers here at the South Main Social by Onni condos can enjoy an indoor lounge area that comes comlete with a catering kitchen. Other features include an evening concierge service throughout the year. Residents at the pre-construction Vancouver Social South Main real estate development can also enjoy an impressive gym. SOUTH MAIN TOWNHOMES FROM $669,900* For a limited time only, enjoy great savings on the Vancouver South Main Social townhomes for sale form the mid $600’s. 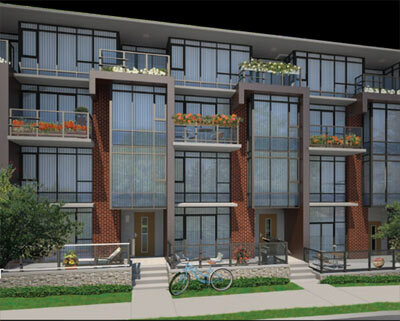 A limited number of two level concrete Vancouver South Main town homes from 1,275 to 1,295 Sq Ft in Vancouver's desirable South Main real estate district. Check out the many reasons you’ll want to own here at South Main Social Townhomes in Vancouver real estate market today: Own a new Vancouver home with just 10% down, Private street front entry and your own address! In addition, the Social South Main town homes present large terraces great for entertaining and summer nights as well as 2 parking stalls and ample in-suite storage. There are upgraded appliances including a gourmet gas range and 8’8” – 10’8” ceilings and hardwood flooring in every home at Vancouver Social Townhomes in South Main District. Also, this is one of the most advanced sustainable buildings in Vancouver real estate market and is located next door to 1 Kingsway, a comprehensive community centre offering a host of services including child care. Also, the South Main Social Townhomes for sale are steps from the funky bistros, organic bakeries, vintage clothing stores, and hip yet relaxed coffee shops of Vancouver’s South Main district. You can download sample floor plans online right now. Call 604-687-4353 or visit our downtown sales centre, located at 1035 Seymour street for more information about the fabulous new Vancouver South Main Social Townhomes for sale. I look forward to seeing you, Onni New Home Consultant for the Social South Main Vancouver townhom project. * Prices are subject to change without notice. E.&O.E. Own A Social South Main Condo with 10% Down! This weekend at Social Vancouver South Main condos, take advantage of: 10% total deposit and also a 3% price discount! What do you think of our sales staff's picks? We’ve had our eyes on these great South Main Vancouver Social homes this week… ANGELE Unit 320 is a one bedroom suite at 720 sf originally priced at $385,900 and discounted by $11,577 to $374,323 and it’s a bright corner unit. TARA Unit 105 at South Main Social by Onni is a studio floor plan of 500 square feet in size that is now only $283,143 and features a impressive 175 SqFt patio! HOWARD Suite 704 at the presale Vancouver Social South Main condos is a two bedroom floor plan of 820 square feet priced now at $456,773 and features great mountain views. The LAURA at Suite 108 is an East Vancouver Social Townhome with floor plan TH 8 at 1,275 sf priced originally at $679,900, discounted by $20,397 to $659,503 and features impressive 14' ceilings. The LISA is a 2 Bed layout at 870 sqft and priced now at $402,453 which is only $476/SqFt! Check out all the Social Vancouver condo and townhome floorplans at www.onni.com. Cam & the Social Sales Team – The South Main Social Sales Centre is located at 1035 Seymour Street (at Nelson) in Downtown Vancouver, BC. Call 604-687-4353 for more information. Open Daily 12-6pm (closed Friday). 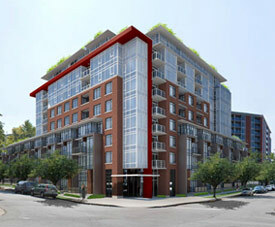 There are a great number of floor plans available for homebuyers at the new South Main Vancouver condo development. From one bedroom to two bed condominiums to penthouse suites and townhomes, the Social South Main real estate project will give you maximum choices at affordable pricing. There are thirteen one bedroom Social South Main condo floor plans released that range anywhere from 555 sqft (Plan C) all the way to the corner 770 sqft (Plan F). Some of these 1 bedroom suites also have huge patios or balconies, increasing your living space by a lot. The two bedroom South Main Vancouver Social condo floor plans range from M1 which is about seven hundred and twenty square feet all the way to an impressively large Floorplan Q at twelve hundred and fifty five sq ft. 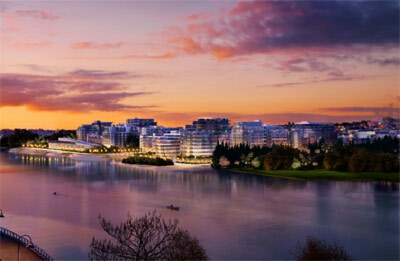 The Vancouver Penthouse condo plan PH! Is a three bedroom residence at 1235 sf with a huge main floor terrace and then an even bigger roof top deck. PH2 is 1335 sf with two bedrooms, Vancouver penthouse 3 is 1284 sf with 3 beds, and PH4 is 1194 square footage. Penthouse 5 at Social South Main real estate development is a two bedroom and two bath suite with 1,170 square feet. For homebuyers who enjoy the family style home feel, the Vancouver Social Townhomes for sale will give you four different layout choices. Firstly Plan THA is a two bedroom South Main townhouse that features 1275 to 1295 sf over two levels with an enclosed balcony and a ground floor patio. The corner unit THB at the South Main Social Townhomes for sale features two bedrooms and is thirteen hundred and fifty five square ft. THC at Vancouver Social townhouses is 3 bedrooms and 1535 sf, while THD is 1255 sf. Onni Developers has done their part in protecting the environment and making sure that water and energy conservation are part of their building plan. The Social South Main condos for sale will feature LEED Silver equivalent certification that provides some of the healthiest and most energy efficient living spaces in the Vancouver real estate market place. With a dedication of park space, urban gardens on site and green roofs that decrease the heat island effect, the pre-construction Vancouver condos at Social South Main are truly ground breaking when it comes to protecting the surroundings. From balconies that allow for more shading during the summer months to 50% glazing of the windows and from brick and concrete facades that insulates heat and a high efficiency boiler system, Social Vancouver South Main condo home buyers can rest assure that they are protected in every way and are doing their part for generations to come. There is also a rain water collection for central irrigation, Energy Star front loading washer and dryer, energy efficient appliances in the bathrooms and kitchens and water efficiency too. Low flow fixtures and toilets are other features as is the durable concrete construction that requires very little maintenance. The central location of the South Main Vancouver real estate district also allows Social Onni homebuyers to explore their neighbourhood with ease, and without driving their cars. Walking or biking is promoted in this condo community for sustainability. All homeowners will have key fob entry, controlled underground parking with cameras for extra security and all Social South Main condos for sale will have pre-wired in suite security systems too. If you are looking for a pre-construction Vancouver condo for sale, the South Main Social development by Onni is prefect for you. The kitchens will have a great energy efficient, full iszed appliance package with garburator too, in addition to solid composite stone counters, breakfast bars, islands in select suites, over height tiled backsplashes, porcelain tiled floors and lots of task lighting. The bathrooms at the pre-construction Vancouver condos at Social South Main will have imported tiled porcelain floors, oversized mirror, deep soaker tub, framed glass shower enclosures with tiled walls, under mount wash sink, stone countertops again and wood veneer cabinets. The Social pre-construction Vancouver condos will also feature such things as wire shelving in the closets, flat panel ceilings, designer colour schemes, lots of in suite storage, oversized kitchen cabinetry and bedroom closet space, baseboards, pre-wiring and Berber carpeting. Onni also gives you two choices in terms of flooring. For more information, please refer to: http://onni.com/communities_ns_social.html. What more could you ask for? Perfect location, price point, services, amenities, interior features and beautiful exterior façade. The time is now to purchase here!